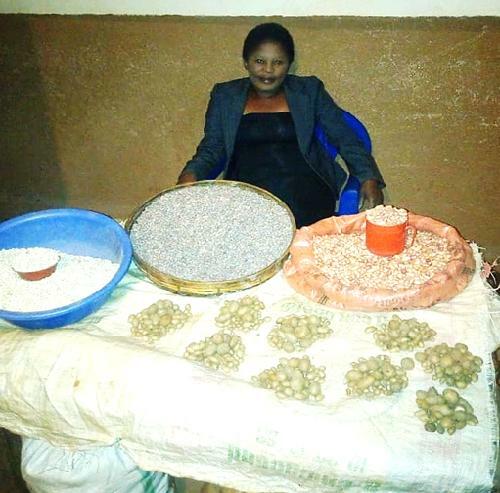 A loan of $275 helped to expand her food business and increase her inventory. Mwiche is a 32-year-old entrepreneur who lives with her husband and five children in Isoka district in Zambia. She sells chikanda (Zambian "vegetarian" sausage made with orchid stems) and groundnuts. She is requesting a Kiva loan to expand her business and increase her inventory. She plans to use the profit she earns to re-invest in her business and support her family. Mwiche will repay the ‘social interest’ on her loan by volunteering three hours per week as a CAMFED Business Mentor, leading sessions to teach less experienced local women how to become successful entrepreneurs by developing their business acumen and sharing the lessons she has learned from operating her business. It is a 0% interest loan for young women with new businesses. Camfed's borrowers are young women who live and work in these remote rural areas and belong to the Cama network (the association of Camfed alumni). Most Cama borrowers will have received money management and business training through Camfed’s programs for young women who have completed high school. Borrowers will repay interest upon their loans as a "social interest" - through their volunteer efforts to enhance the quality of the education provided by their local schools. Borrowers commit to contribute a minimum of 2.5 hours per week as volunteers. As Learner Guides, they will lead students through a new wellbeing curriculum that helps develop students’ skills and capacities for decision-making, problem solving, leadership, entrepreneurship, resilience, communication, and empathy. Camfed Zambia is a nonprofit dedicated to eradicating poverty in Africa through the education of girls and the empowerment of young women. Loans funded on Kiva will go to rural business women who are members of Camfed’s alumni association working to achieve economic independence and become role models for younger generations. Kiva supports Camfed Zambia’s work to help break the cycle of poverty by educating girls and empowering young women as leaders of change.